We are delight to support our tailors Christopher and Seth Schafer’s Baltimore-based nonprofit, Sharp Dressed Man. Founded by a partnership between Christopher Schafer Clothier, the Baltimore Fashion Alliance, and the Living Classrooms in 2012, Sharp Dressed Man equips men who are ready for work with a measure-to-fit, one on one styling experience resulting in a hand selected suit and accessories to wear to interviews and other occasions. Often an appropriate, business-professional outfit can be the last obstacle standing between men who have completed work training and employment. Their program closes the gap between being prepared with skills for a new job and “looking the part” to get in the door for an interview. We invite you to join us in celebrating the continued success of this program and to ensure its bright future. Funds from the Gala and Fashion Show will support Sharp Dressed Man’s recovery efforts after experiencing a fire at their former boutique. The money raised will fund renewed operations and help rebuild the new boutique and programming space at 223 West Lexington Street in Baltimore City. Come out and enjoy the jazz sounds of the Eric Byrd Trio, sweet and savory small plates from Eleven Courses Catering & Event Co., and a fashion show featuring Sharp Dressed Man ambassadors in their recycled suits! Please Dress for Success (and to Impress.) 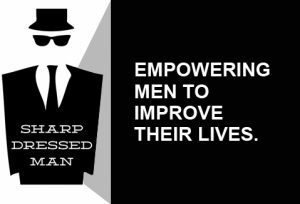 There will be more opportunities to continue to support Sharp Dressed Man at the event!